Data from narrowmind.railfan.net and DeGolyer, Vol 72, pp. 248+, Vol 78, pp. 360+, and Vol 79, pp. 361+ Works numbers were 58009 in September 1924, 60486 in May 1928, and 60690 in December. Prairies a little larger than the 1915-era #9 (Locobase 14256), these had more, but smaller-diameter tubes. All of them served the Maui port of Kahului, transporting construction materials inland and pineapples and sugar cane portward. Relatively large oil-burners with straight stacks; the fuel's properties were described as Standard Oil, gravity of 18-19 degrees with a minimum of 14 degrees. A transportation sales website -- http://www.trains-trams-trolleys.com/equipment/small/3017/ (visited 30 Dec 2002) tells us that 12 operated for almost 40 years and is said to have been the last steam locomotive operated commercially in Hawaii (in 1966). After its retirement, the 12 was sold to John Houghton of San Leandro, Calif, who in turn sold it to Chamas, NM-based Scenic Railways. In 1982, the engine was sold again to Midwest Central Railroad, a 1 1/4-mile circle aroung McMillan Park in Mt Pleasant, Iowa. 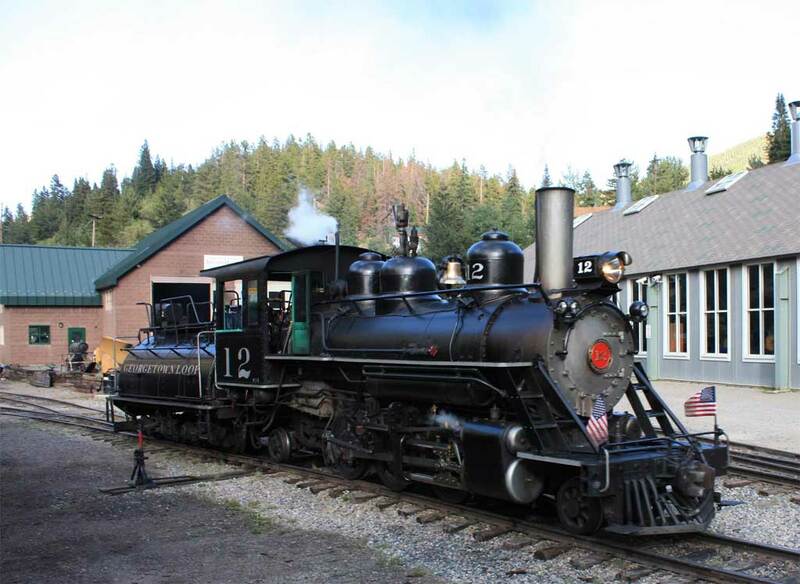 Purchased later by the Silverwood Theme Park in Athol, Idaho and rebuilt in 1988, the locomotive was available for sale in 2002 for $250,000. 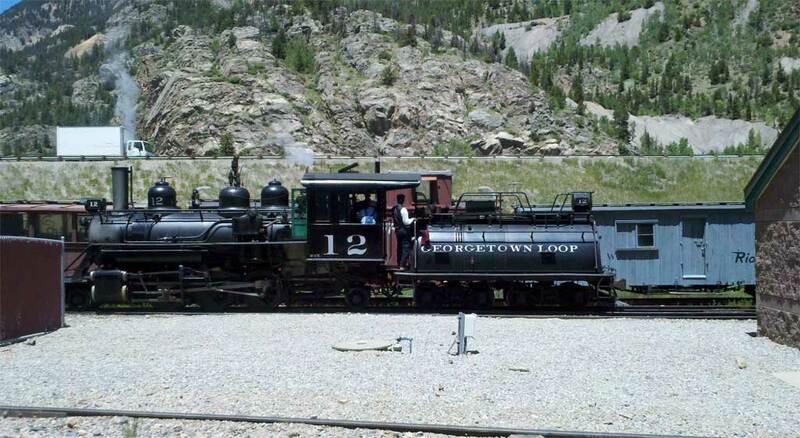 12 ultimately wound up on the Georgetown Loop Railroad in Colorado and was rebuilt again to come into compliance with FRA regulations in 2008. Additional information tells us that stamps issued by thhe Kahului are a collector's item. Many websites talk about the various stamp issues, examples of the only stamps to have been issued by a railroad. Data from DeGolyer, Vol 54, pp. 427+. Works number was 41925 in February 1915. Baldwin's main contribution to this Maui-island common carrier was this mixed-traffic Mogul. The KRR was a subsidiary of "Big Five" sugar company Alexander & Baldwin and used the 9 to move construction materials in from the harbor and processed cane out. The 9 also helped moved quarried rock to the artificial harbor at Kahului then under construction. Like the later 2-6-2s shown in Locobase 4417, this engine was retired in 1950.